I love everything about this card, Joyce! 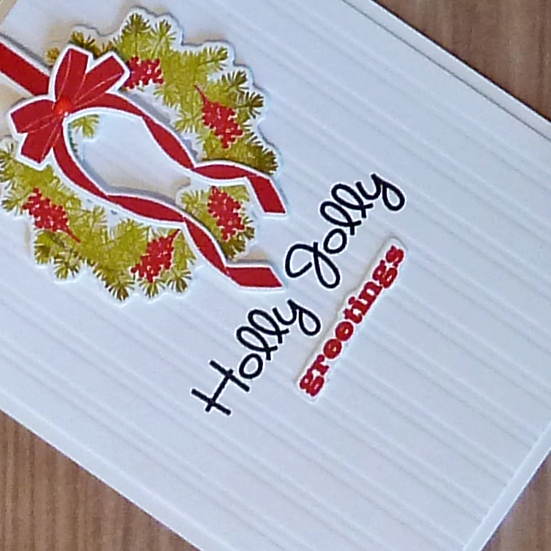 The embossed background is the perfect base for that sweet wreath! 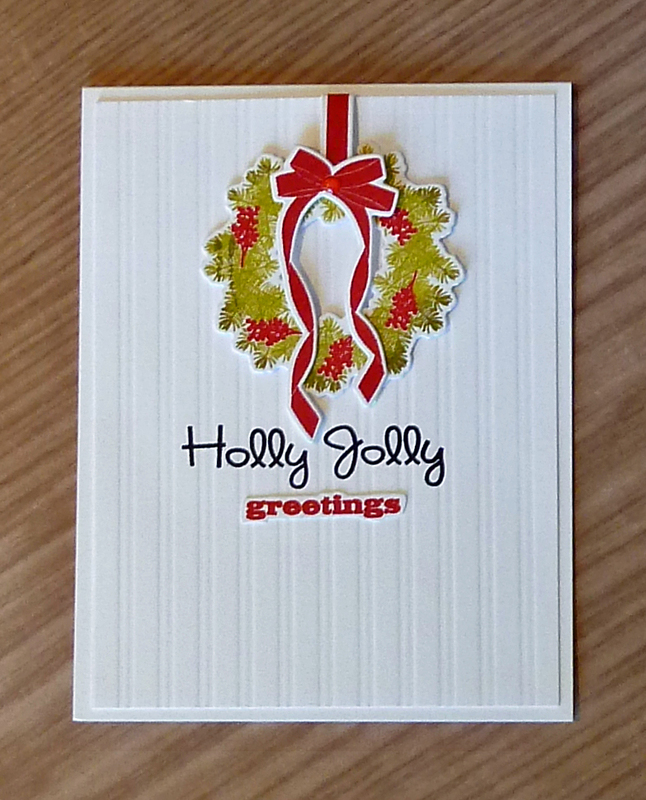 Very pretty card Joyce! I like the scored lines in the background! Love your sweet holiday card....that wreath looks so beautiful! Such a pretty wreath and I love how you added texture with vertical scoring, Joyce! 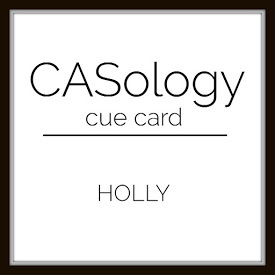 I am so humbled that you chose my card as your fave from last week's challenge...Thank you! Lovely wreath on a textured background. What's not to like about this beautiful card. Awesome card, Joyce! I love the embossed background - adds a touch of elegance to the beautiful wreath!